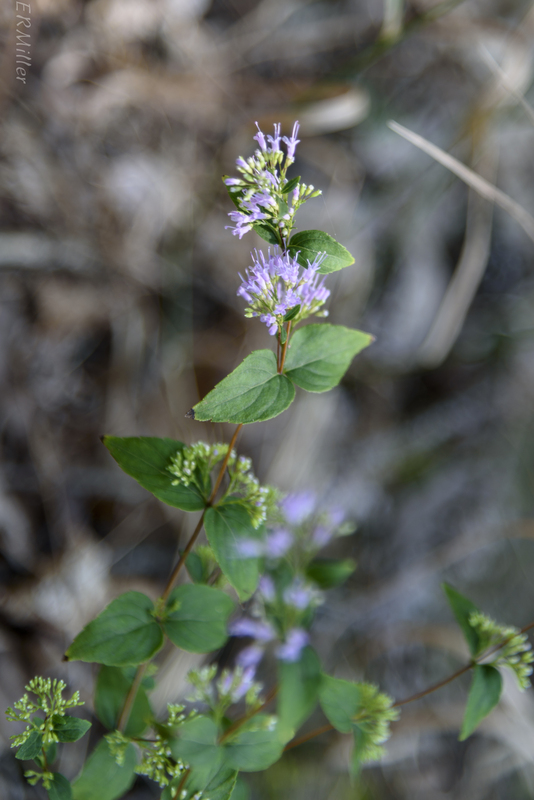 Like the blue curls in my last post, common dittany is in the mint family. It has the characteristic square stems and paired leaves, not to mention a marked fragrance like oregano or thyme, but the flowers are a little atypical. They lack “lips”, and have two stamens rather than four. The flowers are found in terminal clusters and in axillary clusters on the upper portions of the stems. This species is a perennial subshrub that grows to about one foot tall, with branches often sprawling or flopped over. I came across a single specimen in the Serpentine Barrens Conservation Park, growing in textbook common dittany habitat: dry soil, shade from trees overhead, and little to no competition from other plants on the forest floor. There are about a dozen species of Cunila. All except this one are native to South America and southern North America (as far north as Mexico). C. origanoides‘ range includes an area somewhat to the east and west of the Appalachians, from southern New York through South Carolina, and the Ozarks, with a few scattered occurrences elsewhere. The plant probably got its common moniker “dittany” from a similar looking old-world herb, dittany of Crete (Origanum dictamnus). The specific epithet origanoides means “like oregano”. 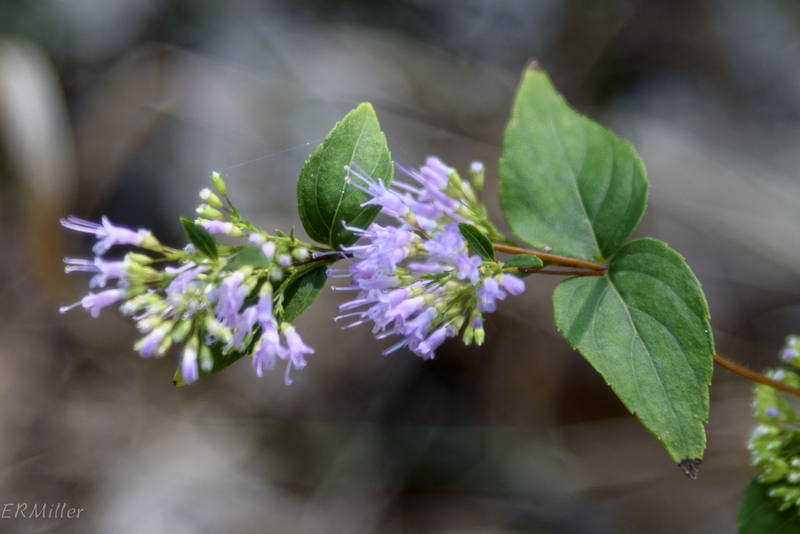 Native Americans made a tea of common dittany for a variety of medicinal purposes, but please note that it does not have FDA “generally recognized as safe” status (according to The Herb Society of America). 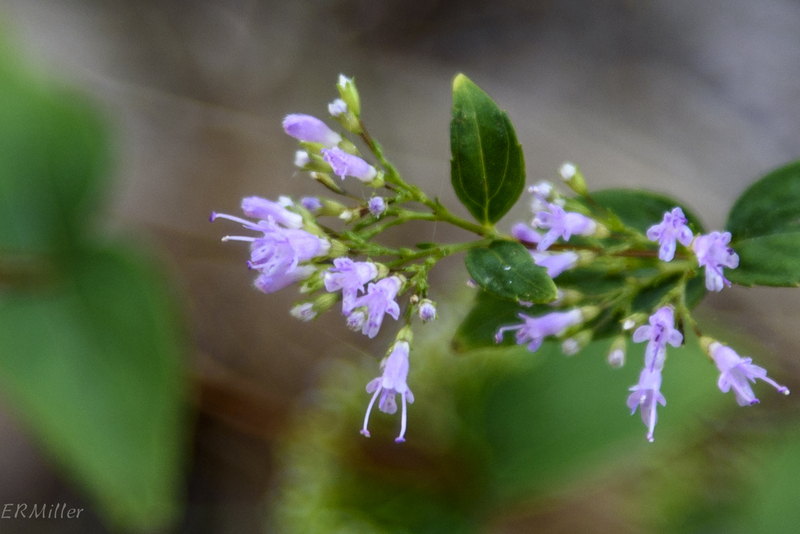 This entry was posted in Uncategorized and tagged Cunila, dittany, Lamiaceae, Serpentine Barrens Conservation Park by elizabeth. Bookmark the permalink.